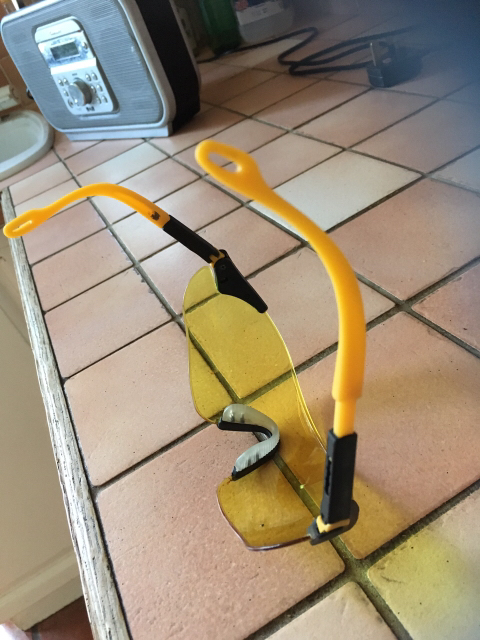 Now I have bankrupted myself buying my Arai Tour X4, my current Bolle padded safety glasses don't fit very well as there is a very generous arm gap in the helmet padding and they slide down my nose. As it was, before I bought the helmet I was thinking of going to wrap around sunglasses style goggles as I really don't like the bulk of 'proper' goggles and end up with a tunnel vision effect. Only to be used for road and trail - I have to keep my eyes protected with visor up since eye ops a few years ago. Anyone use a glasses style and any recommendations? I have mass posted this on ABR and KTM forums as well. What do you mean by wrap around sunglasses. Ones without the hook behind the ear? 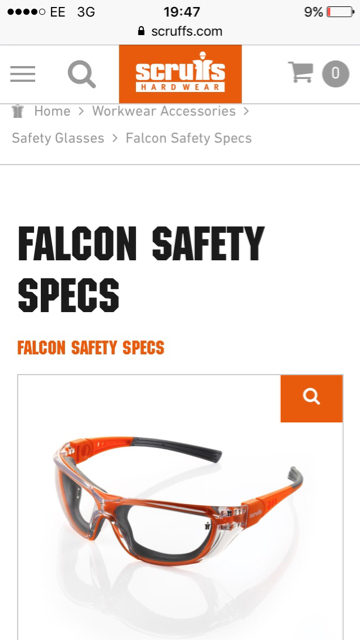 If so bolle do safety glasses like this. I'd pop along to a builders store or electrical factors with your lid and see if you can try some on. My local CEF stock a good range. You want a nice soft feeling cushioned flexible arm so it doesn't cut into your temples, some styles are a bit too hard plastic. Bear in mind after a wash and some use the padding/inner lining in the lid will have a bit more give, so if they're a little squeezed on day one of a new lid, after a while they'll feel fine. Oddly, it's the lack of padding in my new Arai that means my straight armed Bolles now just slide forward. I might try some hook type ones for now, just to get me sorted but look around for a goggle type at more leisure. 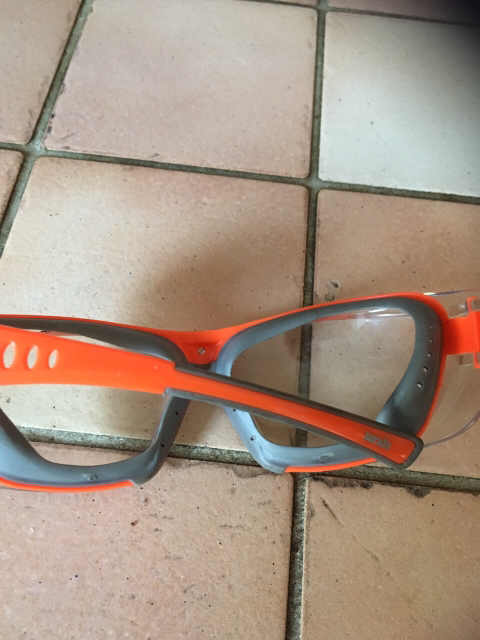 I had two expensive eye ops because I rode in my early biking years without eyewear (good old 1970's) so I have to try and stop as much wind reaching my eyes as possible but I find normal goggles too restrictive for side vision and also too bulky. I use my visor for road work and flip it up for the lanes. EDIT. Glasses style goggles are smaller in size so might suit me more but need to strap outside, not inside the helmet, as some seem to. The orange ones here were good. They have a seal around the eyes and rubbery coated arms so grip your head and padding and don't slip. The're also anti fog and came with a strap you could clip on instead, if you didn't want to have arms. The yellow bolle ones are good but let in far too much dust in the summer unless you're leading and the odd fly! Thanks - what make are the orange ones? My Bolles have padding and even when they fitted better, I was getting small flies inside. That's one reason why I am leaning to a goggle style. Sussex is reknowned for it's dust and flies, sadly. Also frequent low branches smacking you in the face. They say scruffs on them with one of the f's the wrong way round. Sure they came from travis Perkins but might have been screwfix. I seem to recall they did limit some vision due to the seals compared with the frameless bolle yellow ones. Don't remember them from the Screwfix website so will try TPs. I bought my ones in Wickes David, they are the same as the orange ones, very good. 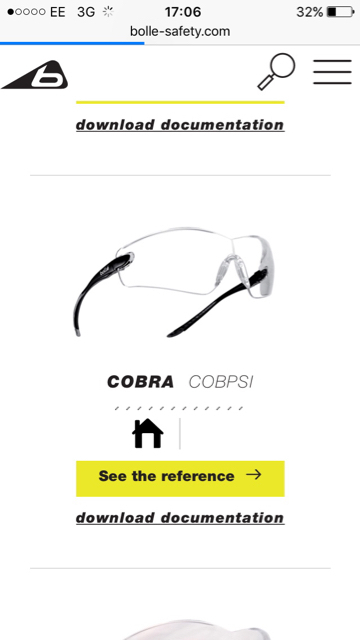 If you've a Decathlon nearby they do cycling specs at £3.99. Plain, dark and yellow. I've used them for a couple of years, on my third pair. Comfortable under a helmet. Thanks Sean. I'll pop down and have a look. Also thanks Paul but sadly no Decathlon near here. I have bought stuff online from them but I need to try the glasses on first really, even at that low price.